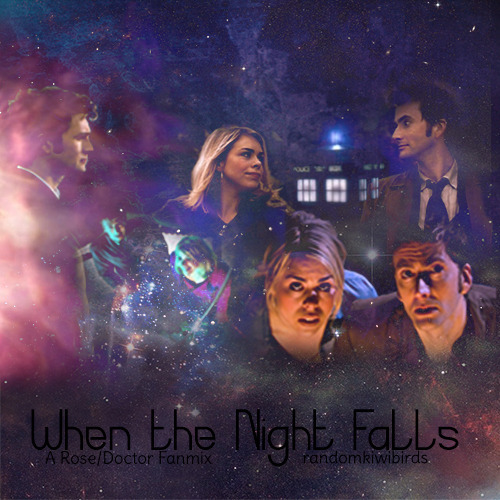 The Doctor and Rose nearer to the end of the 1st Season with the 9th Doctor & Season 2 with the 10th Doctor. The 10th Doctor and Rose. And I fall down,/I'm on my knees cause your everthing I need,/and I've made a mess of myself on my own./And now I am on my face and I'm calling out your name,/and I won't runaway cause I'm already home. Rose with both the 9th and 10th Doctors. I'm not going home without you/I'll save your life/Not going home without you/I'll make this right, /and wait all night if that's what it takes.